This is an old recipe that though simple, is easy to put together for a comfort food dinner. Preheat oven to 350 degrees F (175 degrees. In a medium skillet over medium heat, brown the ground beef and then drain fat. In a mixing bowl stir together the cream of mushroom soup, onion, milk, salt and pepper to taste. Alternately layer the potatoes, soup mixture and meat in a 11×7 inch (2 quart) baking dish. Bake for 1 to 1 1/2 hours, or until the potatoes are fork tender. Top with Cheddar cheese, and continue baking until cheese is melted. This was so good and so easy. I made this Christmas morning and all of us gobbled it up. Thanks to Sara for the lovely fruit salad we had with it. We all loved the pomegranate seeds she added to it. Heat oven to 400 degrees. Line a baking sheet with foil. Arrange bacon slices on the foil and place the baking sheet on the center rack. Cook for about 15 minutes or until done. Drain fat, pat bacon with paper towel to remove excess fat. While bacon is cooking, crumble your two packages of Jimmy Dean’s sausage in a fry pan and cook. Drain grain and rinse excess fat from sausage in a strainer under hot water. Open 2 small cans of green chilies and dump contents into a bowl. Add the dried onion flakes and cottage cheese to the chilies and stir together. (I was about a cup shy on the cottage cheese so I added a cup of sour cream to make up for it). Sprinkle about a tablespoon of onion powder over the mix and stir. Add 4-6 cups grated cheese and about a 1/2 cup of sour cream and mix all this together, then add crumbled sausage and stir together. Add bag of hash browns to the mix and combined thoroughly. Spoon this mixture into your lightly greased casserole dish. Mix 12 eggs together with a fork in a separate bowl and then pour them over the top of the casserole. I poured about a 1/2 cup of milk over the top of the casserole to help moisten it at this point. Bake at 350 degrees uncovered for about 50-60 minutes until lightly browned on top or until bubbly around the edges. 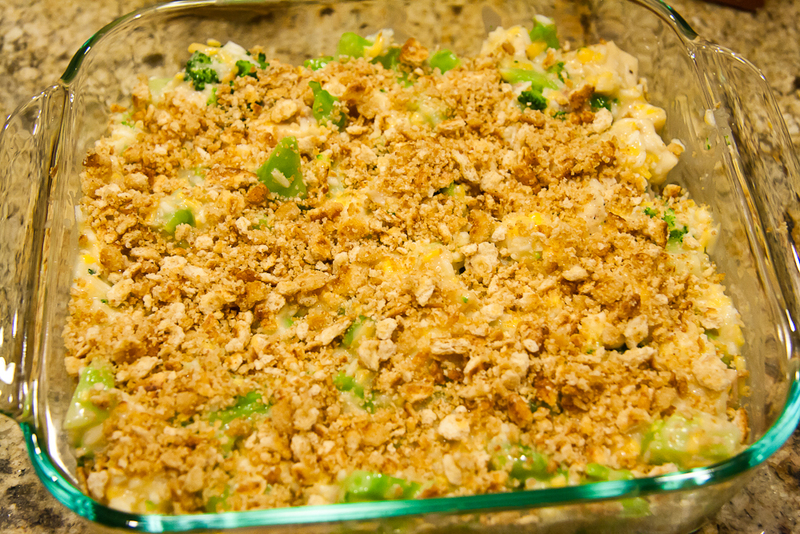 In a 9×13-inch baking dish, combine the macaroni, tuna, and soup. Mix well, and then top with cheese. Bake at 350 degrees for about 25 minutes, or until bubbly. Sprinkle with fried onions, and bake for another 5 minutes. Serve hot. My friend April shared this recipe with me when our families shared Thanksgiving Dinner in Florida. Slice squash and onion in saucepan. Cook in water over medium heat about 20 min. Drain. Mash and add other ingredients, place in baking dish and cover top with 1 cup grated American cheese. Bake at 350 degrees for 20 minutes. Cook zucchini in a small amount of salted water in saucepan for 3 minutes; drain well. Brown onion and ground beef in butter in skillet, stirring until ground beef is crumbly; drain. Prepare stuffing mix according to package directions, using 1 1/2 cups water. Combine soup and sour cream in bowl. Add zucchini, ground beef and carrots. Spoon half the stuffing into greased 9×13 inch baking pan. Layer ground beef mixture and remaining stuffing on top. Bake at 350 for 40-50 minutes or until golden brown. Can of French’s dried onions – shake some of the onions into the mixture. Put mixture into baking dish and top with more French’s dried onions. Cover. Heat until bubbly. Add the potatoes and stir to coat. Roast the potatoes for 45-50 minutes, stirring every 10-15 minutes, until cooked through and nice and crispy on the outside. Bake 15 minutes or until until the chicken is cooked through and the topping is melted and bubbly delicious. Serve with extra hot sauce and/or ranch dressing. 2. In a medium saucepan over medium heat, melt the butter and add the flour. 3. Cook stirring continuously for 4 minutes or until light tan in color. 4. Add the ranch package and cream, bring to a boil then reduce to a simmer, this will thicken the sauce. 5. Place the potatoes into a large mixing bowl; pour the sauce over the potatoes. 6. Add the bacon crumbles and 1 cup of the cheddar cheese. 7. Mix everything together until the potatoes are covered with the sauce. 8. Place the mix into a lightly oiled casserole dish, cover with foil and cook for 35 to 40 minutes or until the sauce is boiling. 9. Remove the foil and top with the remaining cheese, place back into the oven to melt and caramelize cheese. 10. 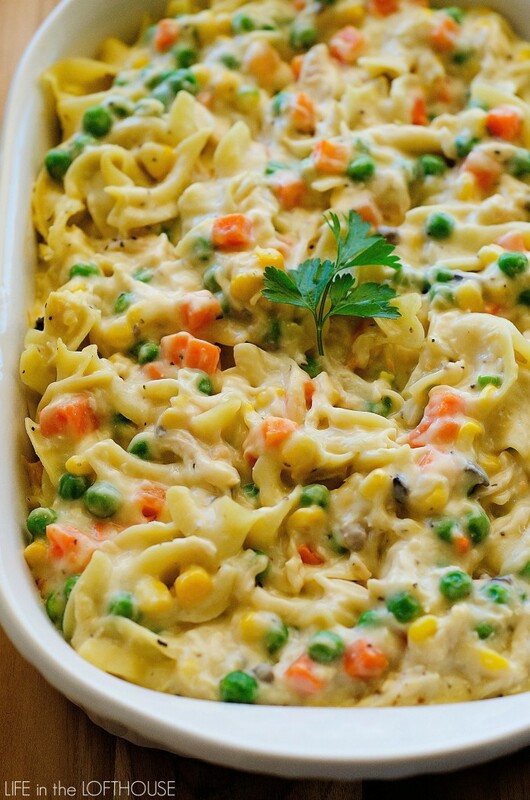 Allow the casserole to rest uncovered before serving for 8 to 10 minutes.